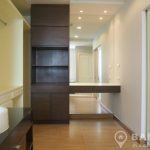 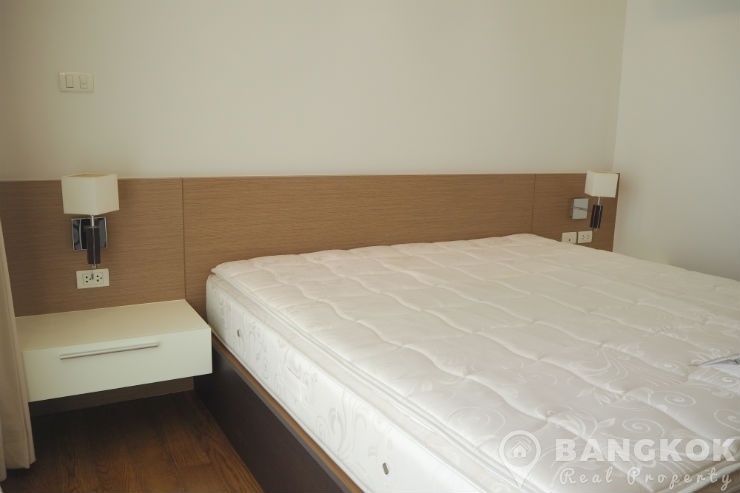 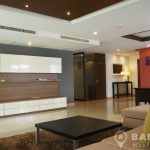 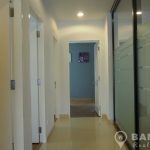 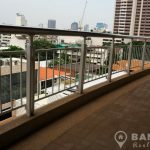 An elegant, spacious, newly renovated, 3 + 1 bedroom penthouse condo is now available to rent at The Rise Sukhumvit 39 superbly located just off Sukhumvit 39 in the heart of Sukhumvit’s Phrom Phong, behind EmQuartier with easy access to Phrom Phong BTS. 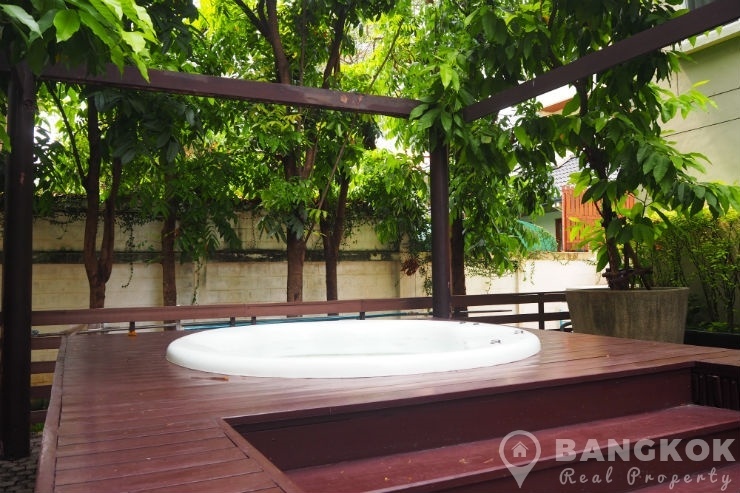 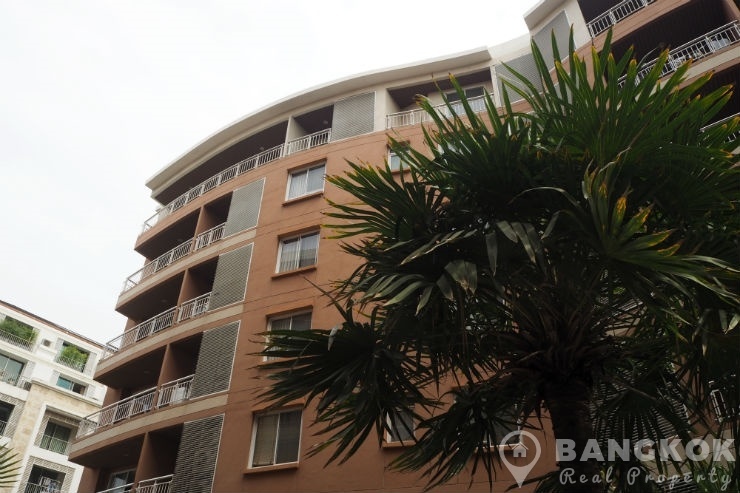 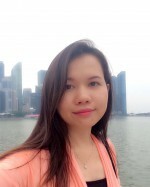 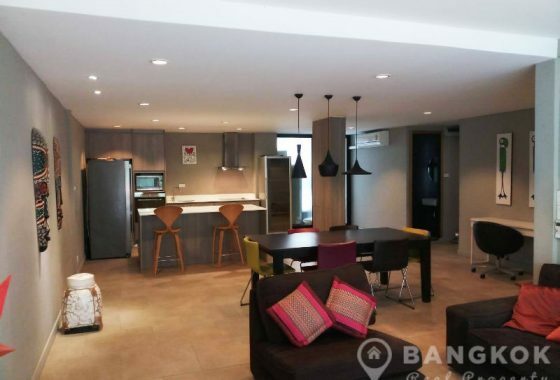 This modern, low rise development built in 2008, nestled in a quiet residential area and offering residents access to EmQuartier, The Emporium, Villa Market, UFM Fuji, Samitivej Sukhumvit Hospital, Benchasiri Park and several top international schools including The American School of Bangkok- City Campus. 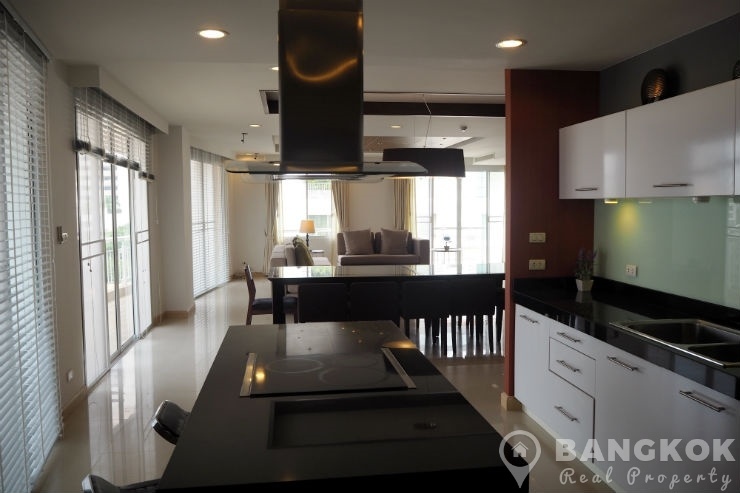 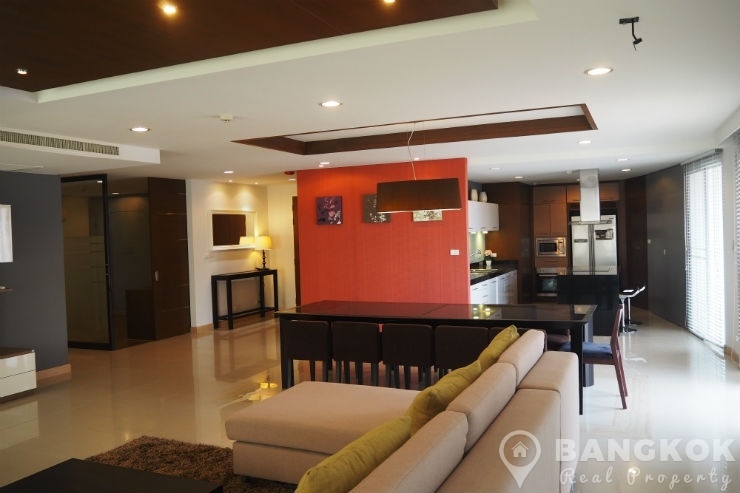 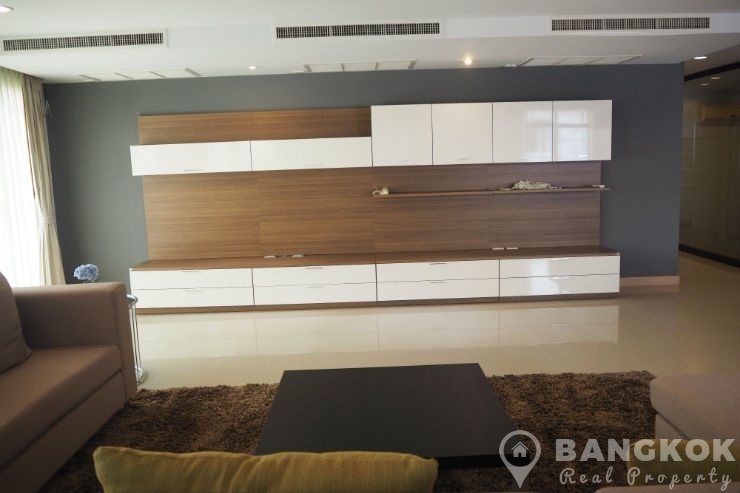 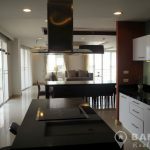 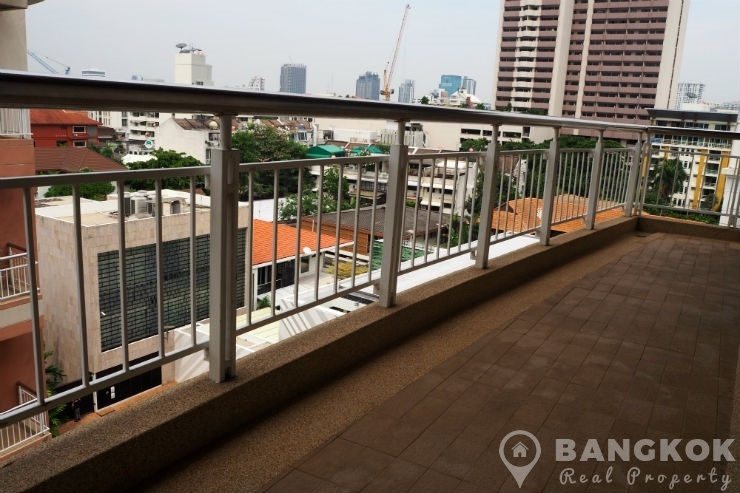 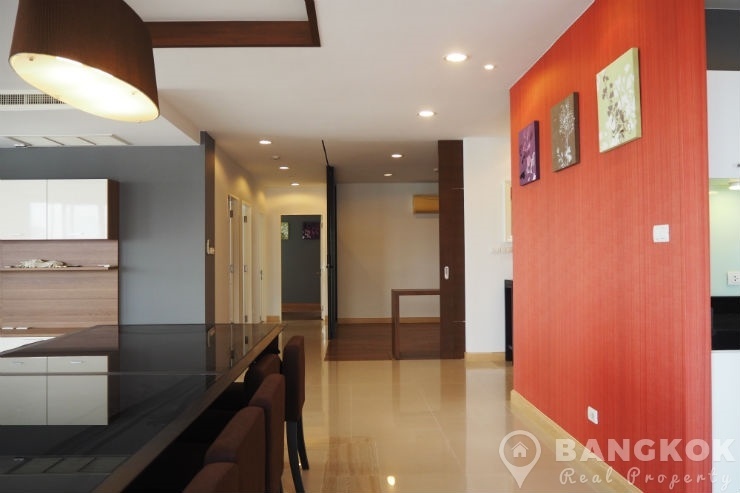 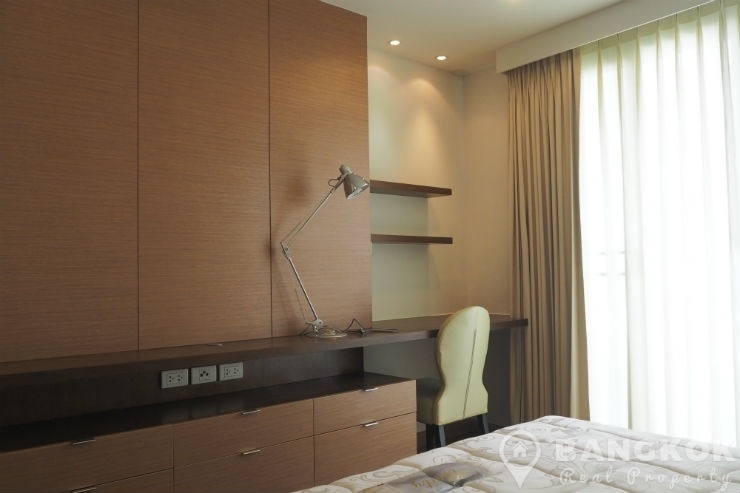 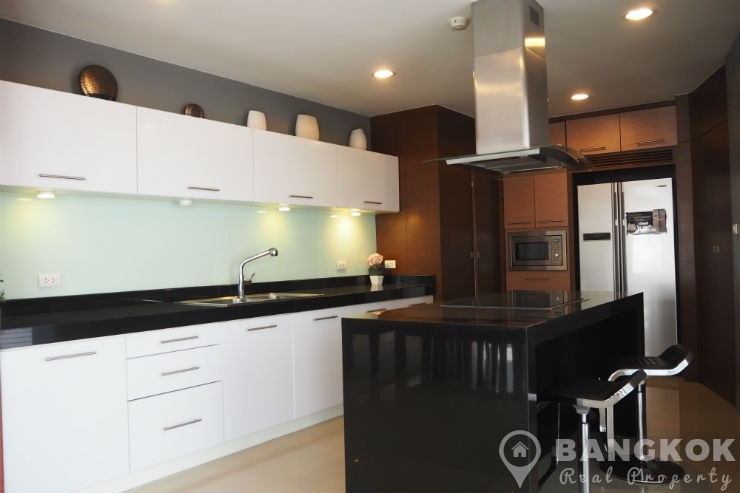 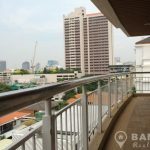 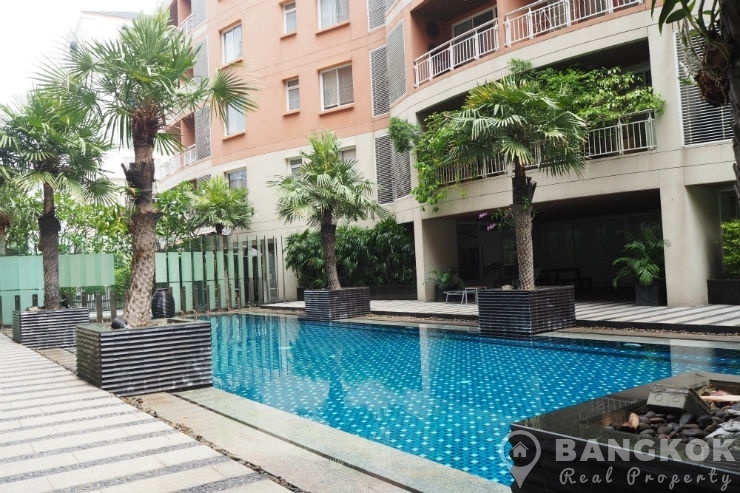 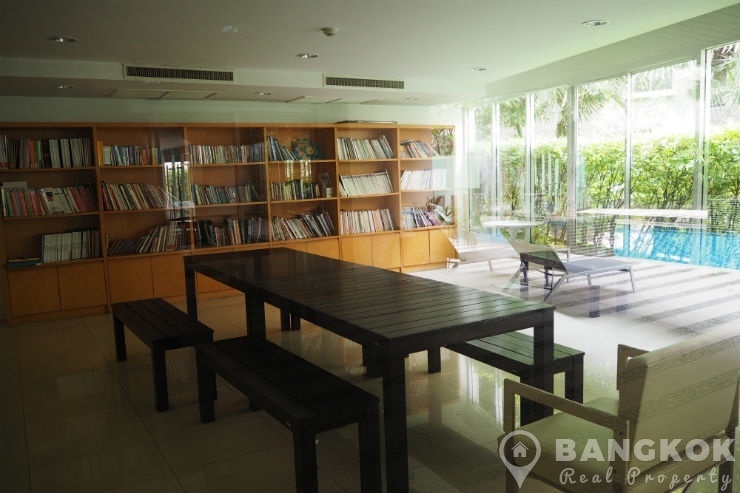 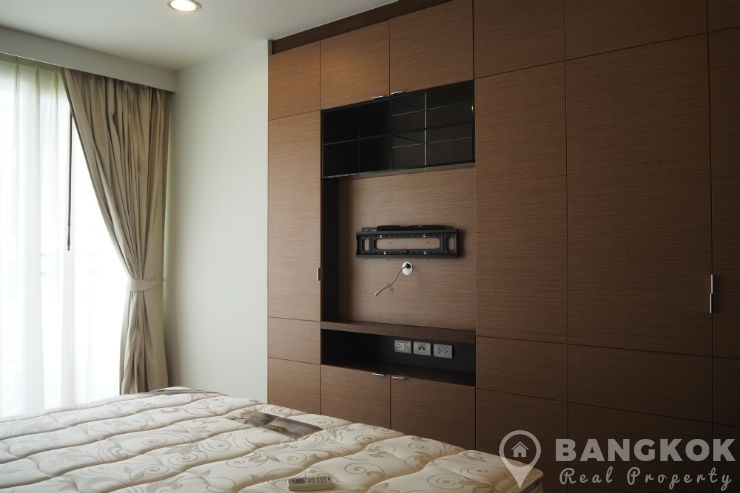 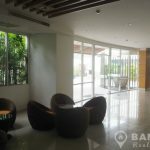 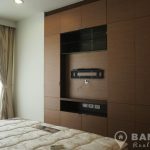 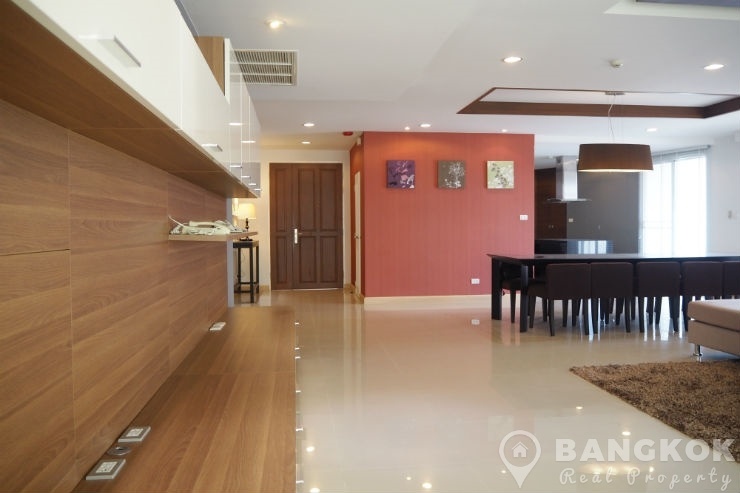 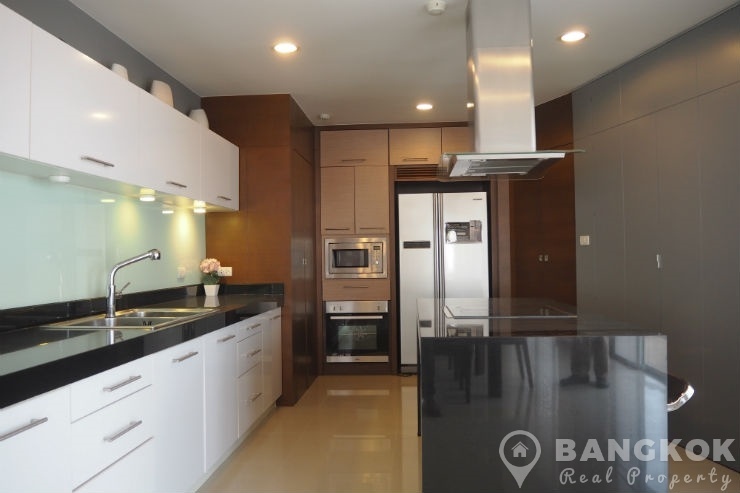 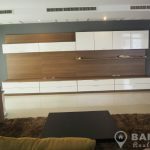 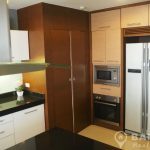 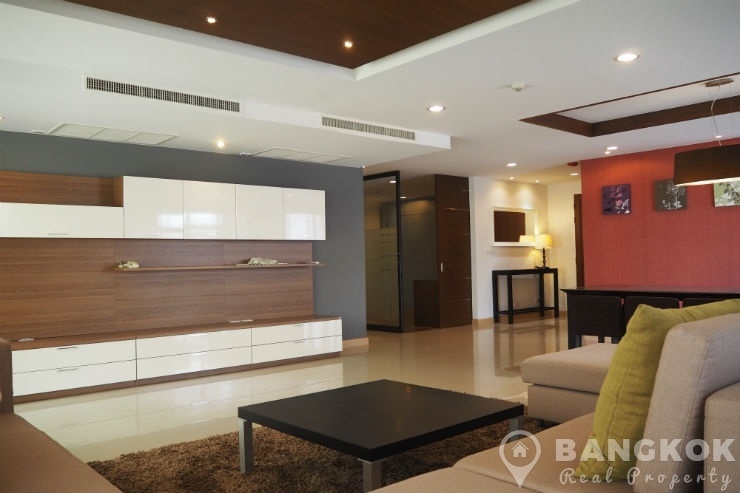 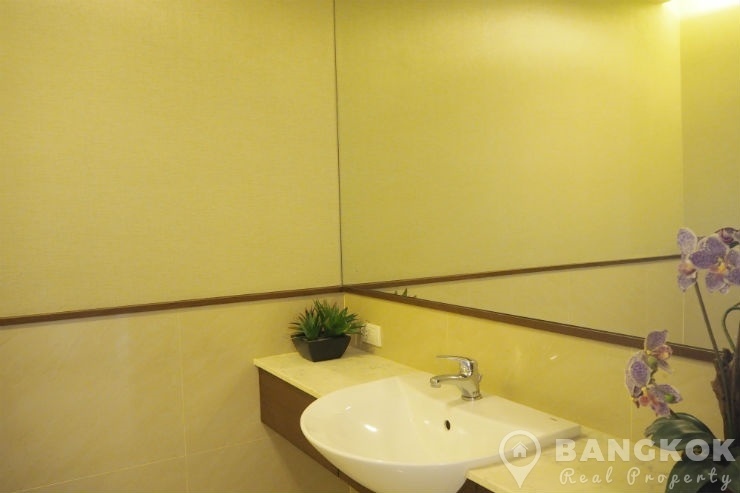 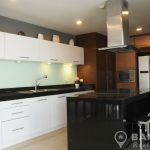 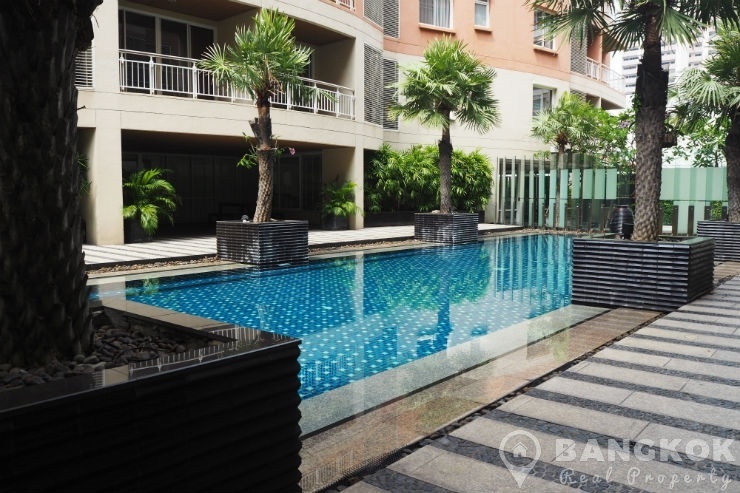 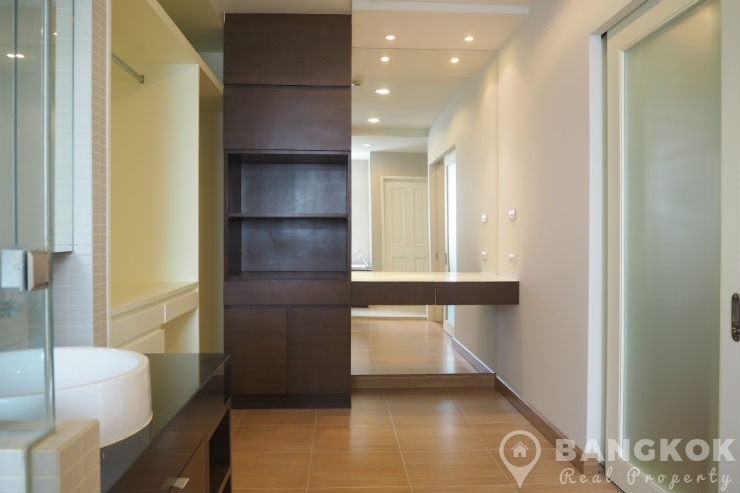 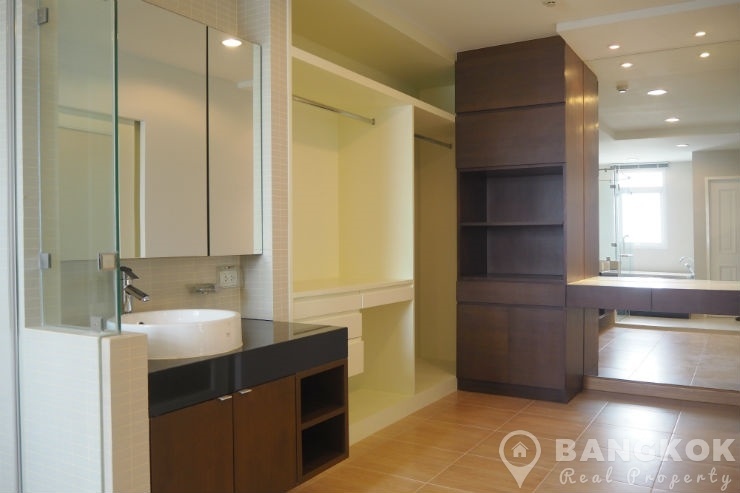 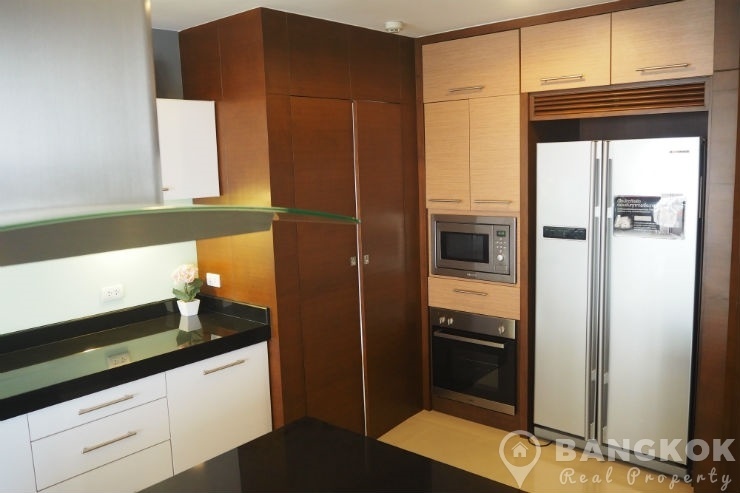 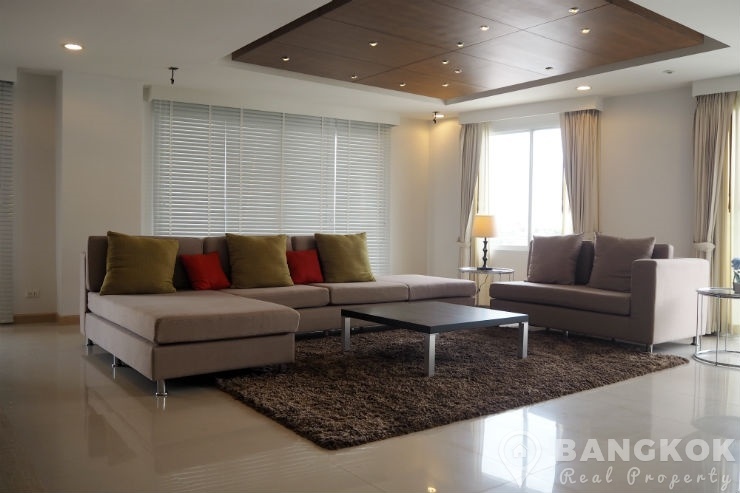 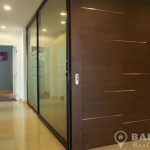 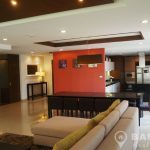 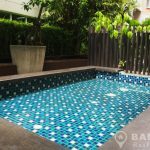 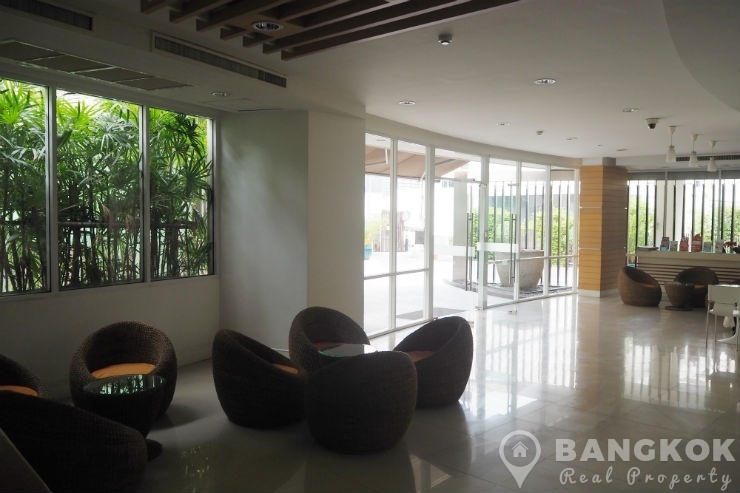 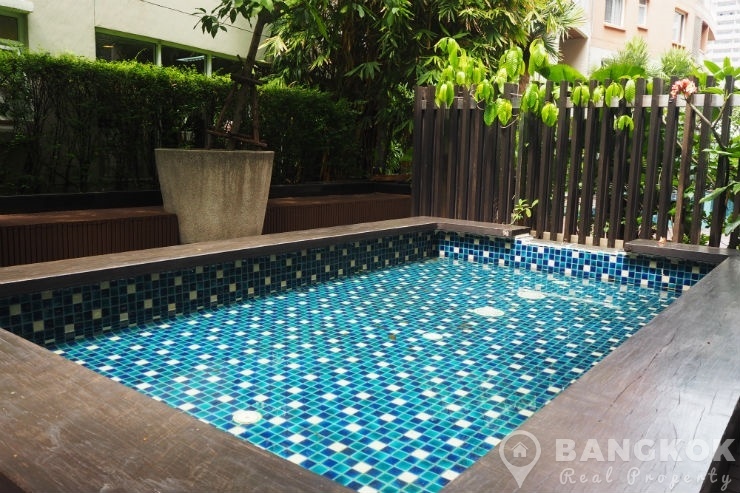 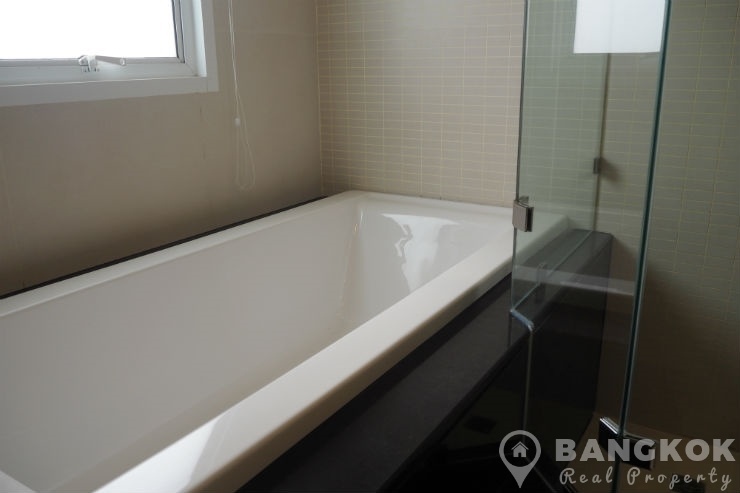 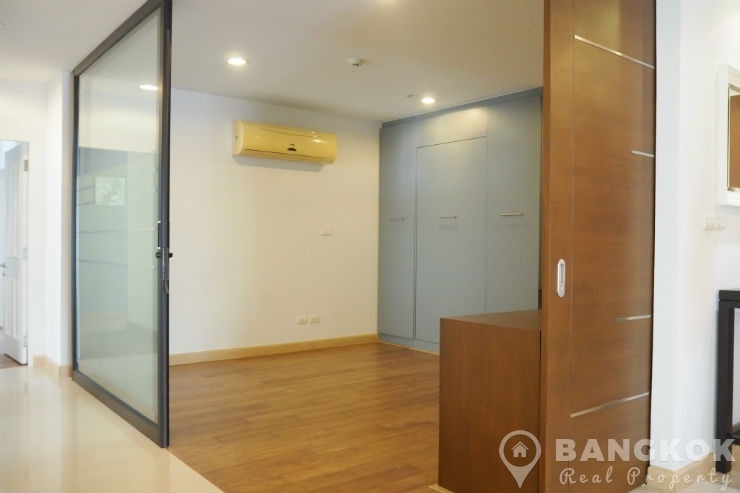 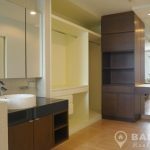 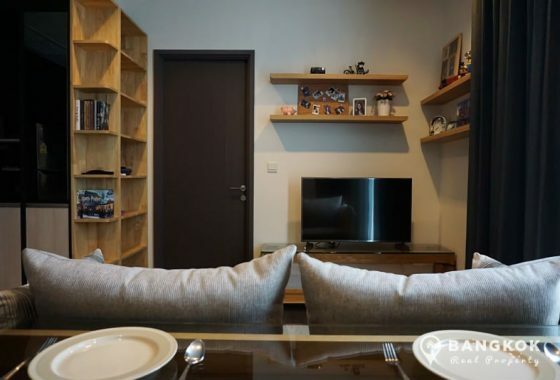 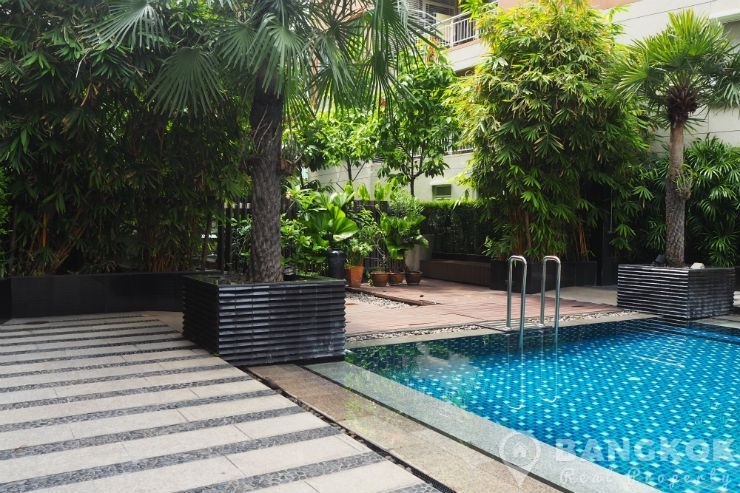 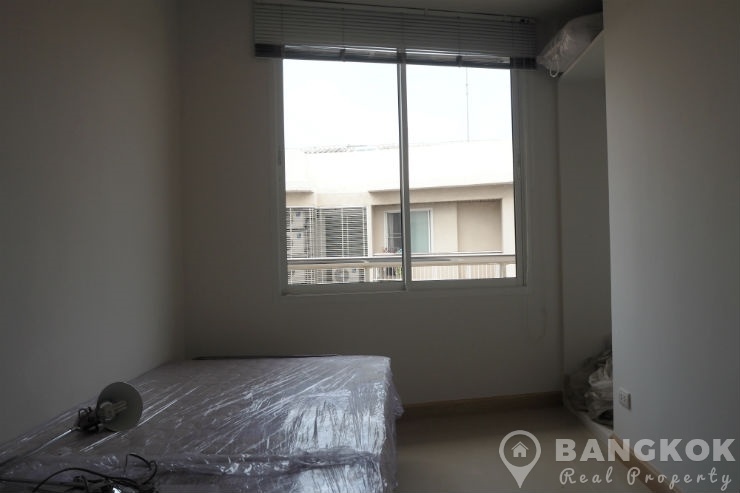 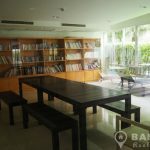 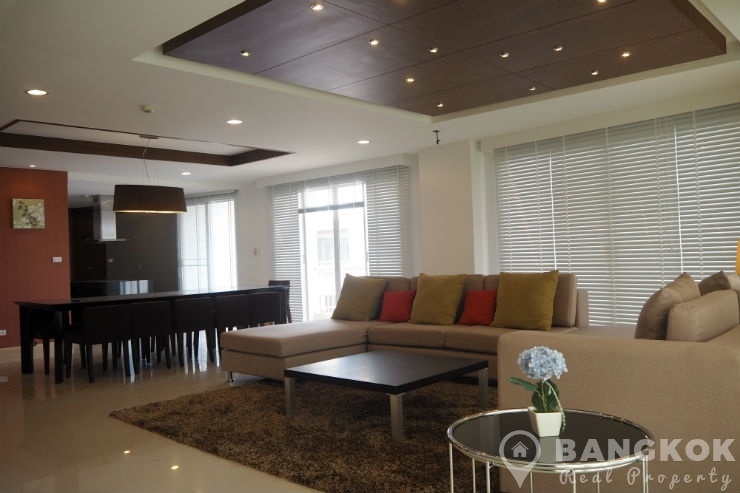 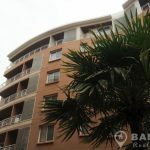 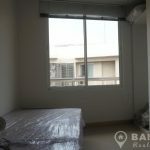 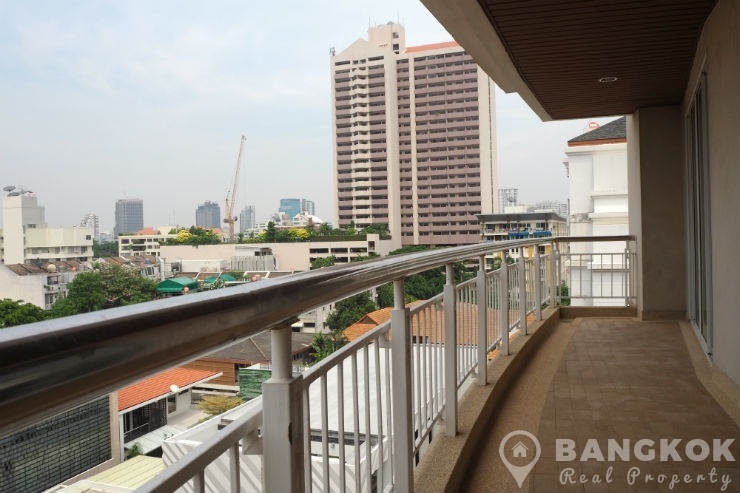 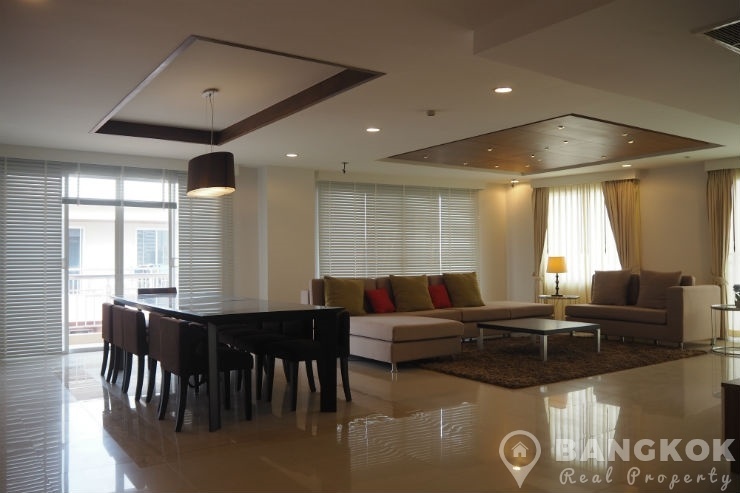 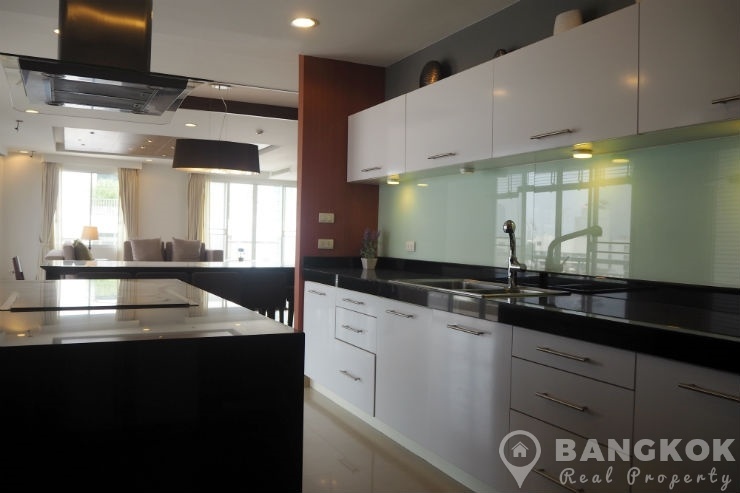 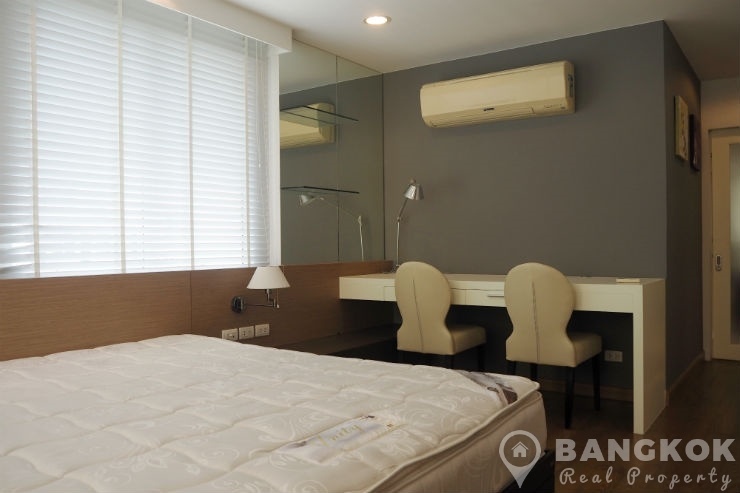 This spacious The Rise Sukhumvit 39 penthouse, corner unit has “triple aspect ( 3-Way)” offering in lots of light and ventilation into this 257 sq.m modern condo. 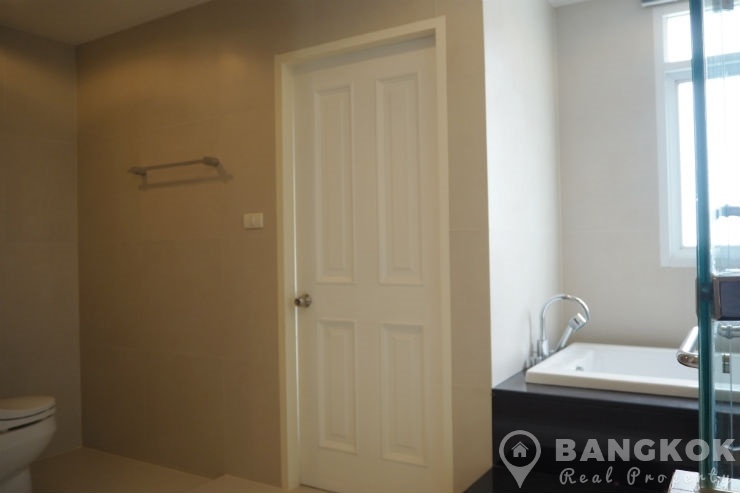 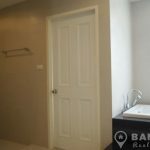 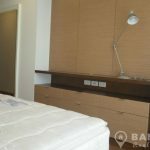 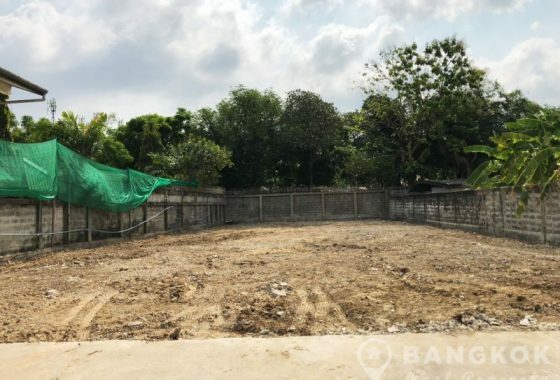 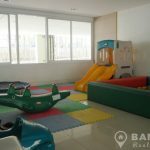 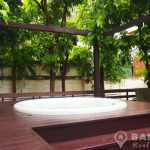 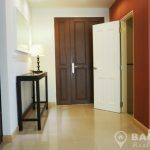 The unit has 3 double bedrooms (all ensuite), 1 study room with pull down bed (or bedroom 4), 4 modern bathrooms (master with large ensuite with Jacuzzi sunken bath and separate power shower) and a large balcony. 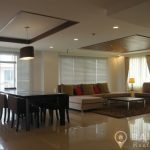 The very large living-dining area has with ceramic tiled floors and floor to ceiling windows with balcony access is fully and tastefully furnished. 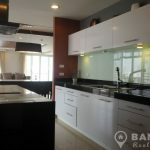 The large new European style kitchen has extensive built in units and storage, island unit with ceramic electric hob with extractor hood and a breakfast bar and there is also a built in electric oven, microwave and large family fridge-freezer. 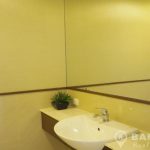 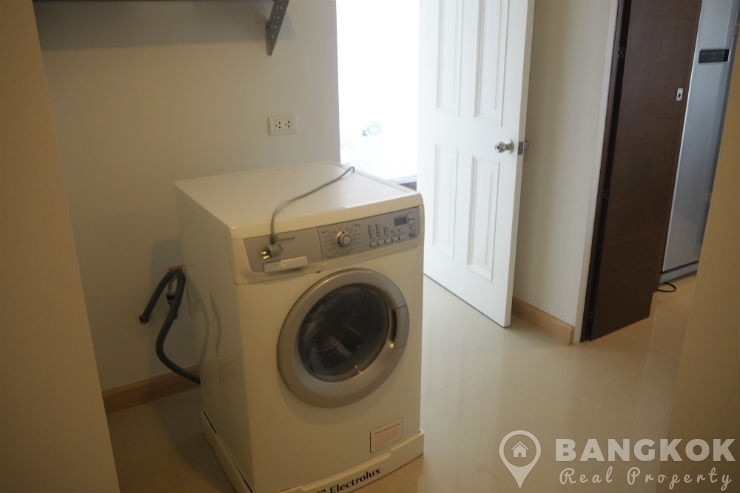 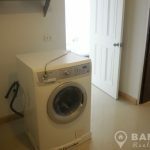 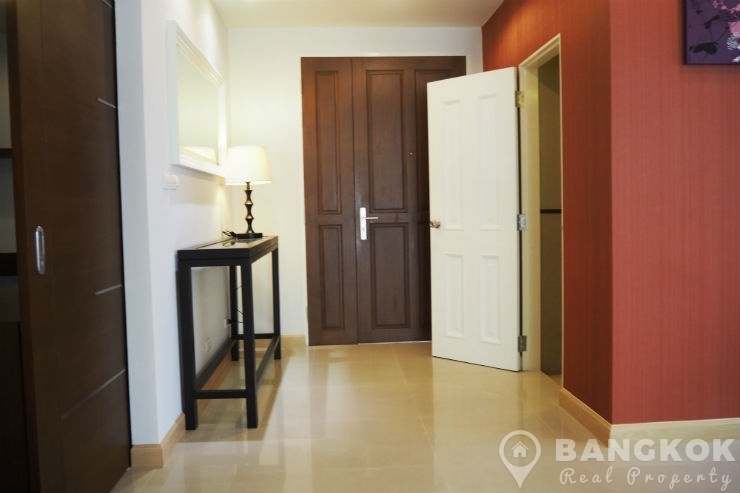 There is a separate maids entrance, utility room and 1 maids bedroom with bathroom. 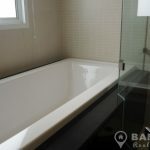 Off the entrance hall is a guest bathroom . 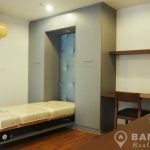 The unit comes with 3 designated secure parking spaces. 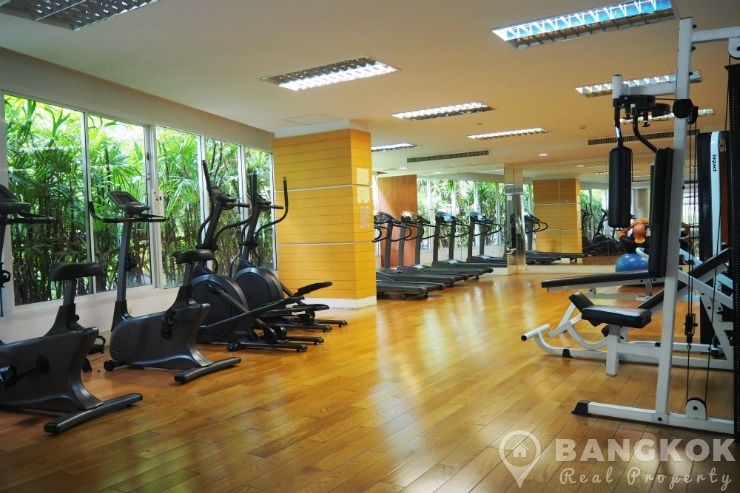 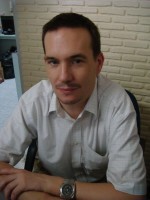 (+66) 089-412-0111 / (+66) 094-343-7994 – 7 Days a Week ! 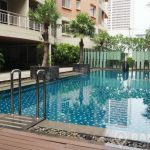 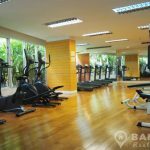 The Rise Sukhumvit 39, located in the heart of Phrom Phong just off Sukhumvit 39 and within 15 minutes walk of Phrom Phong BTS. 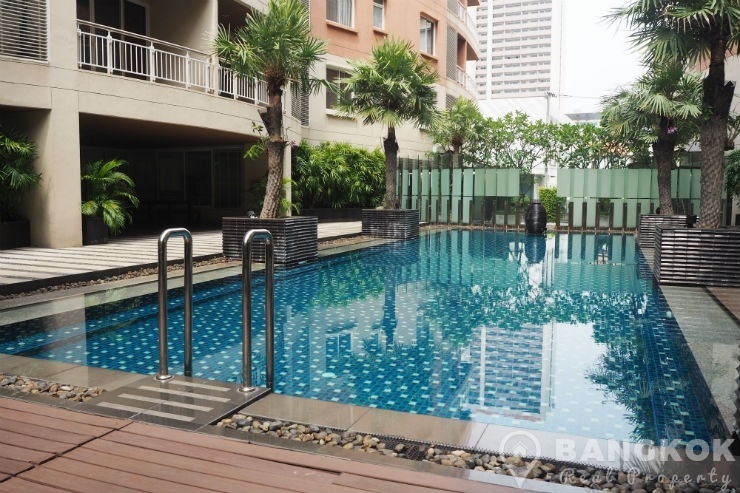 Construction of The Rise Sukhumvit 39 was completed in 2008 and comprises of 2 low rise buildings, each with 7 floors with a total of 146 units.